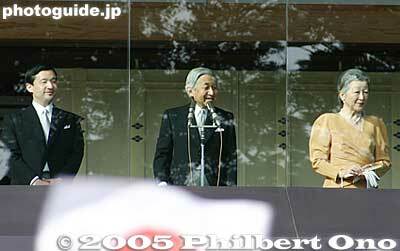 The Crown Prince, the Emperor, and the Empress on the Emperor's Birthday. They were on the balcony for a whole THREE minutes. I thought they would stay there for at least 10 min. Barely had time to mount my telephoto lens.